Come potete ben vedere dalle foto , la forma di questi diffusori e veramente particolare e anche il modo di emissione non e convenzionale. Mi dice che assolutamente i 30 watt valvolari sono insufficienti per questo tipo di diffusore , ma che necessita di molta più potenza ... addirittura mi racconta che lui usa un finale da 200 watt !!!! Poi mi spiega che l'inclinazione originale e un pochino peggiorativa e che lui si e fatto costruire dei supporti appositi che fanno stare i diffusori perfettamente verticali. E che vanno posizionati relativamente vicine al punto di ascolto e piuttosto lontani dai muri , sia di lato che dietro. Ho inclinato i diffusori , come da consiglio e ho fatto partire il CD ... e cambiato completamente il suono , la gamma e risultata piena e completa. Il suono del medio alto si può considerare una via de mezzo tra il tweeter di Hail e le Quad cio' abbastanza veloce , ma non quanto l'Hail ( il che non guasta) meno brillante delle Quad.. insomma diffusori molto bilanciati e sopratutto non mi hanno deluso nella sezione medio bassa , ben presente al contrario di quello che mi aspettavo ... naturalmente se ascoltate solamente musica rock passate oltre , ma se ascoltate jazz , voci , pop leggero posso consigliarvele. 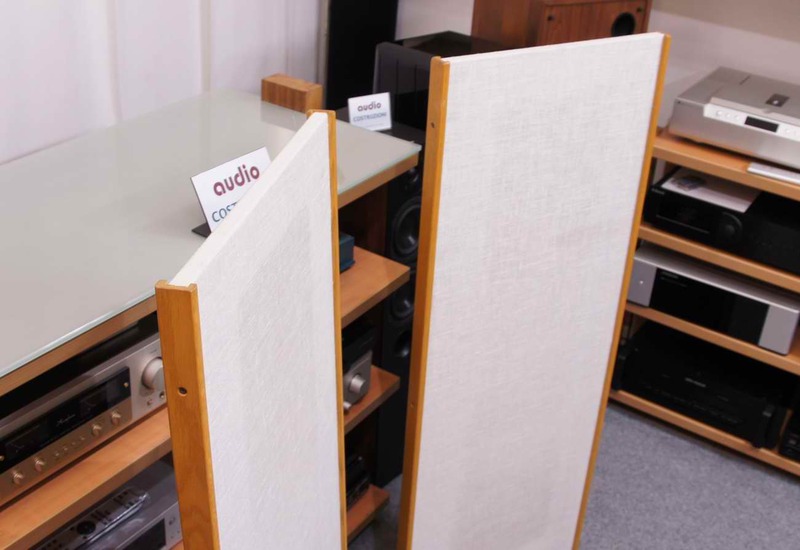 Punto di forza e sicuramente la spazialità che danno questi diffusori , il palcoscenico risulta molto profondo. Magne-what? 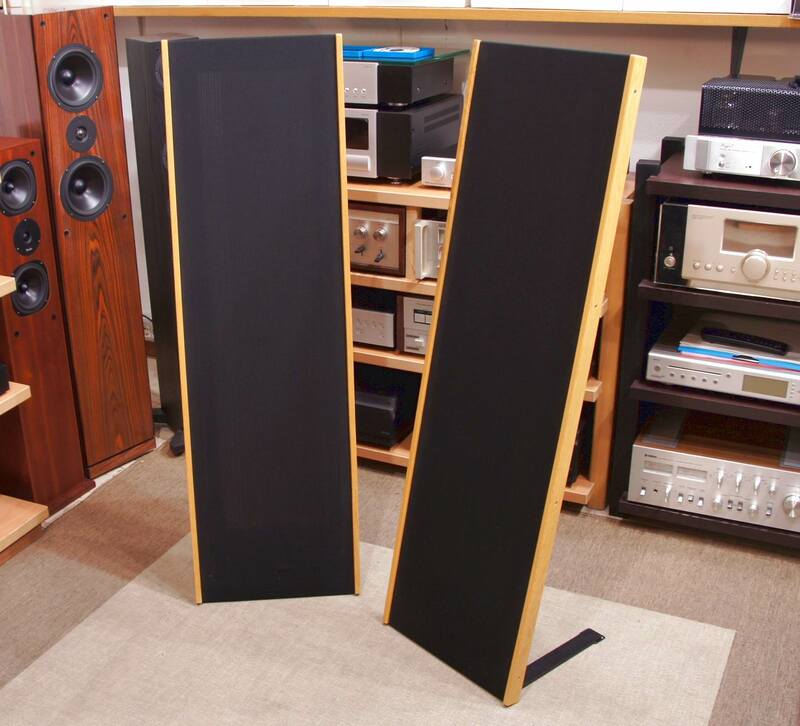 It’s been several years since the Magneplanar range of speakers have been available in New Zealand, but it’s a very welcome return. For me, it’s like going back home again. 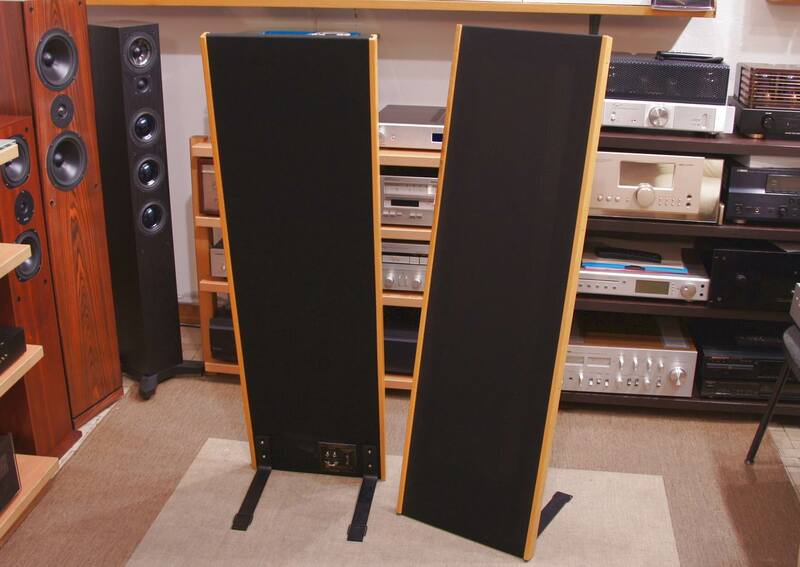 Some 18 years ago I owned a pair of Magneplanar SMGa speakers, an older predecessor to the MG12s reviewed here. 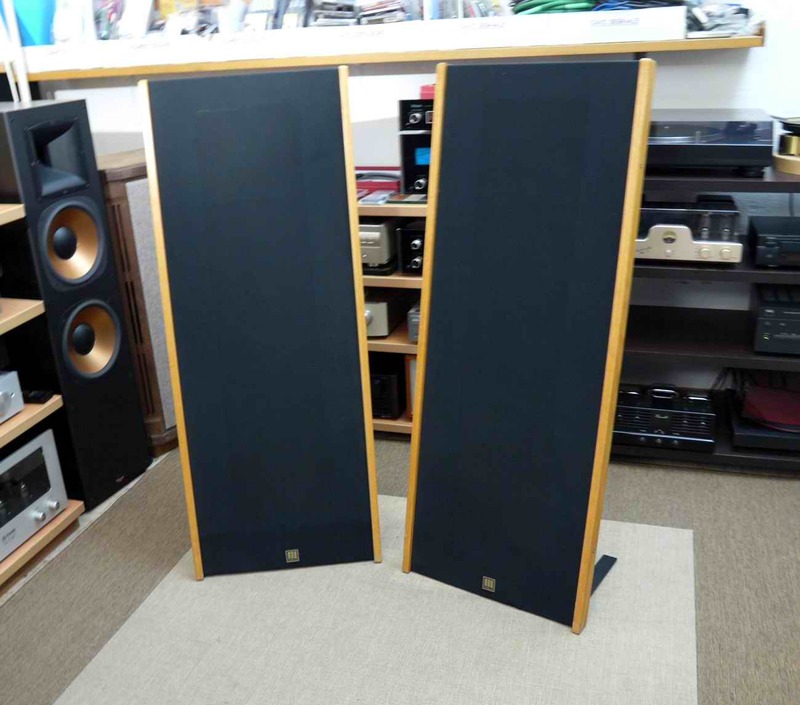 When offered the MG12s for review I jumped at the chance. So what is a Magneplanar? 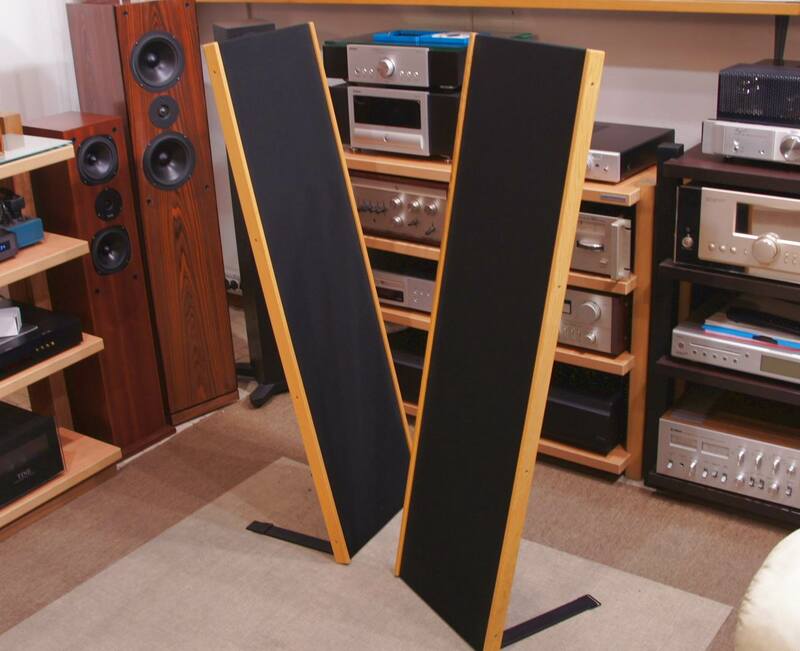 Some people immediately think that a panel speaker is an electrostatic. Not in this case. An electrostatic speaker requires an electrical charge to energise the speaker; Maggies are like normal speakers, only requiring a signal from the amplifier. 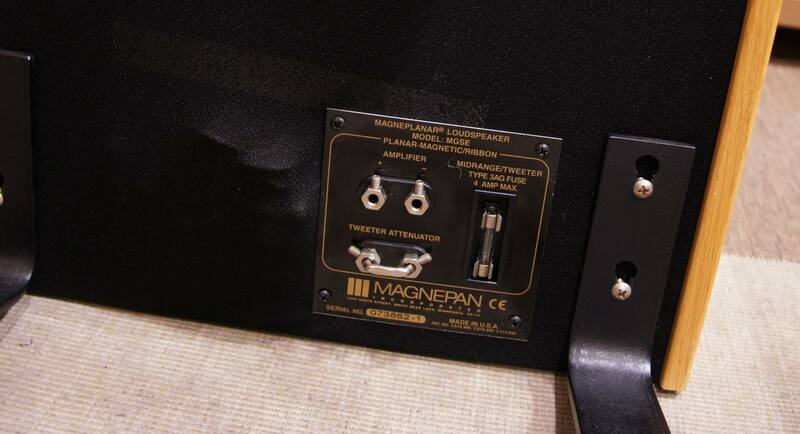 There is one big difference between conventional driver and the Magneplanar panel. A conventional driver needs to move a relatively large distance (or excursion) to create sound. A Magneplanar panel moves very little. But with the very large panel area can still create high levels of sound. 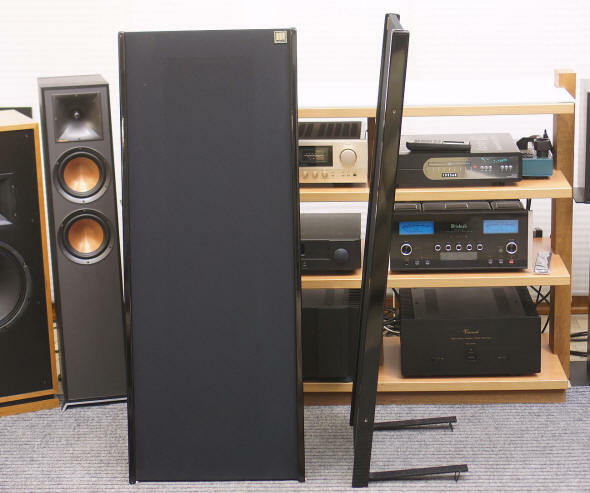 Standing some 1300mm high and 450mm wide (but only 35mm deep), a pair of MG12 loudspeakers will dominate the aesthetics of a room more than most stand-mount or floorstanding loudspeakers would. Maggies also need to be well out from the rear wall to sound their best. Doesn’t sound too good, does it? 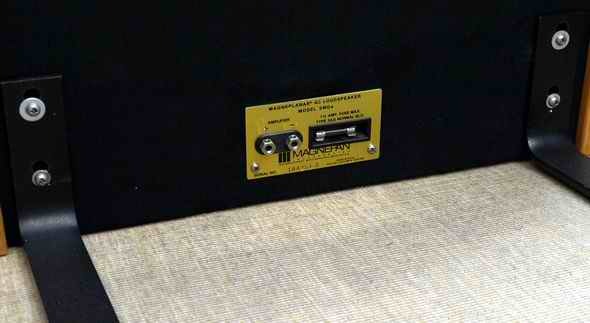 But the MG12 is light in weight and can be left close to the wall, where they look like some sort of screen decoration. Move them back out into the room when you want to listen seriously. 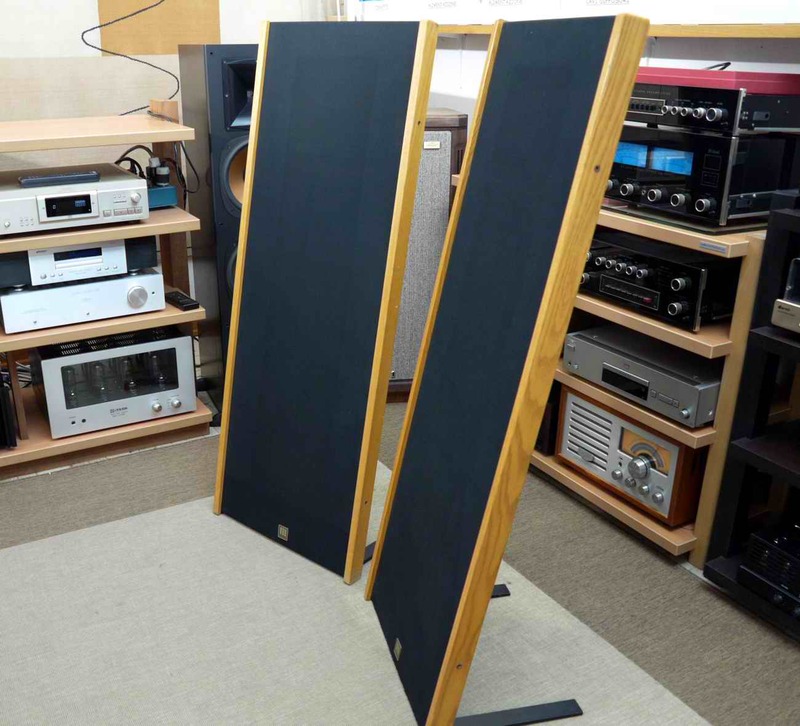 Listening to the MG12s for the first time can be a disconcerting experience. 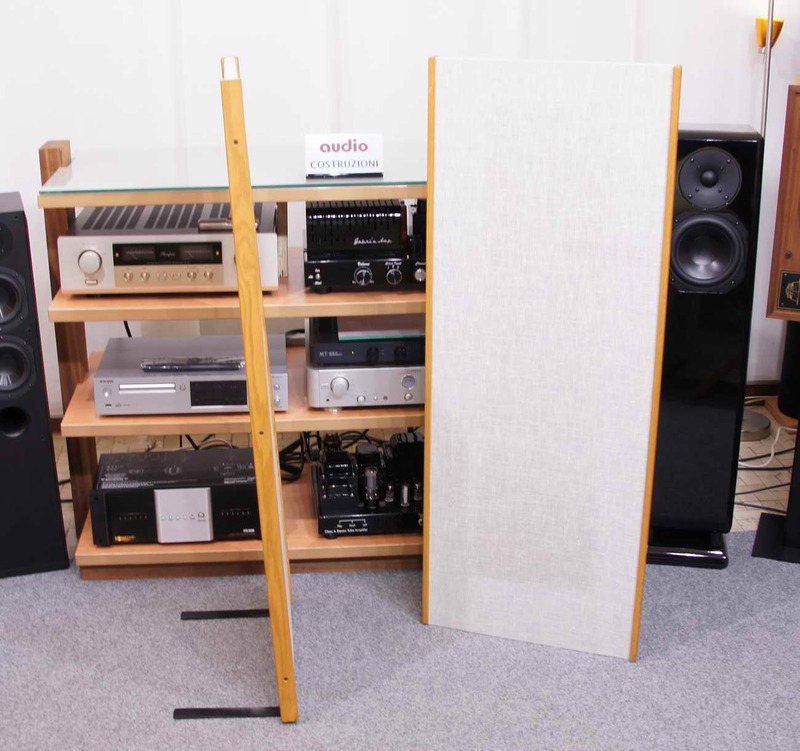 Most of us are very used to listening to music through conventional box speakers, and we’ve largely become used the various box, cone and dome sounds that conventional speakers have. So play some music through the MG12s and the reaction is “wow!” All of the box sounds, the cone and dome sounds that we’ve all grown so used to were gone. The first few days were spent marvelling at this, and it was only after several days that I was able to hear what the MG12 did and did not do. 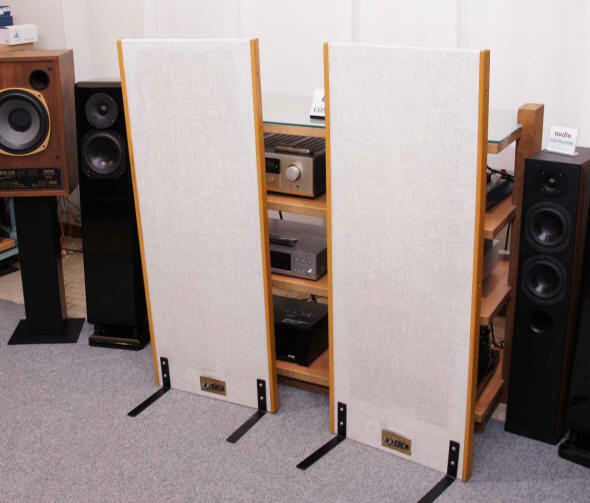 The first thing that stuck me and others who listened to the MG12s was how cohesive, continuous and coherent was the reproduction of music. They really sounded as if the music was cut from one cloth, instead of coming from different drive units. 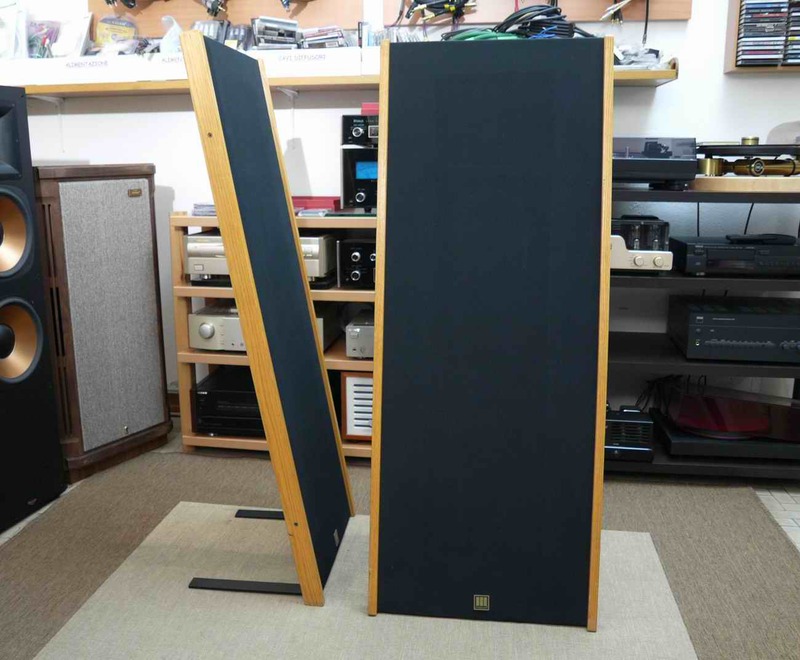 This coherence and continuousness really helps make music from the MG12s sound more real. 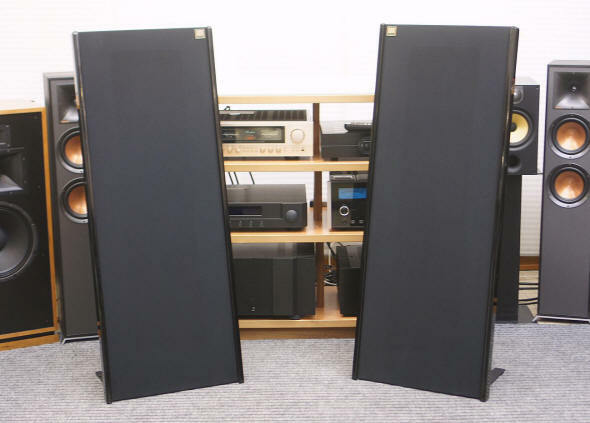 Older Magneplanars could be a little reticent in the high end, but that’s been changed with the newer models. The MG12 has a small version of Magneplanar’s quasi-ribbon tweeter, which produces very good higher frequencies. 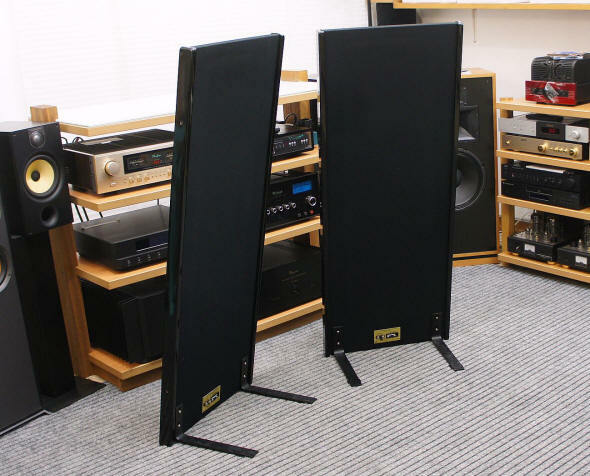 In some rooms – mine included – the MG12 can sound a little bright and forward (the crossover is around 900Hz, far lower than the typical 3kHz of box speakers). So I used the supplied resistor to knock the tweeter response back by a dB or so. At the other end of the frequency spectrum, the MG12’s resolve bass information is a way that I find superior to many competing speakers. 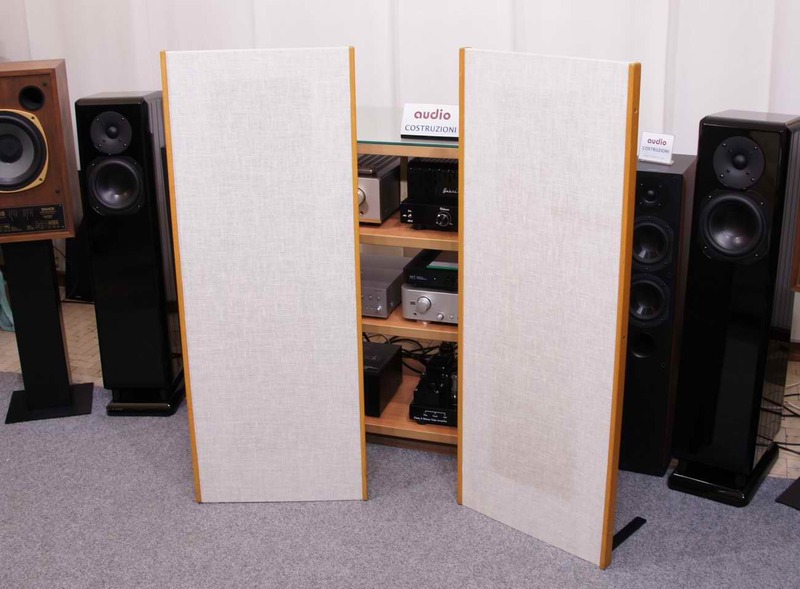 The “what” and “why” of what is happening in the bass is answered by the MG12s, showing that there’s more to good bass than just pumping air. 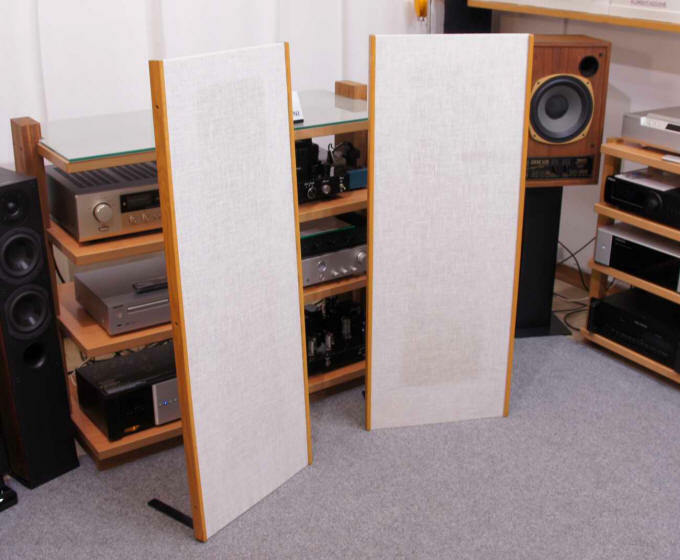 The MG12s showed, for example, the decay of Charlie Watts’ drumbeats in parts of the Rolling Stones’40 Licks compilation, and the relationship set up between Watts’ drumming and Bill Wynman’s bass playing. And that difficult area from the mid-bass to lower midrange was beautifully handled, with a solidity and sense of body from that big panel on the first CD from Pink Floyd’s The Wall. 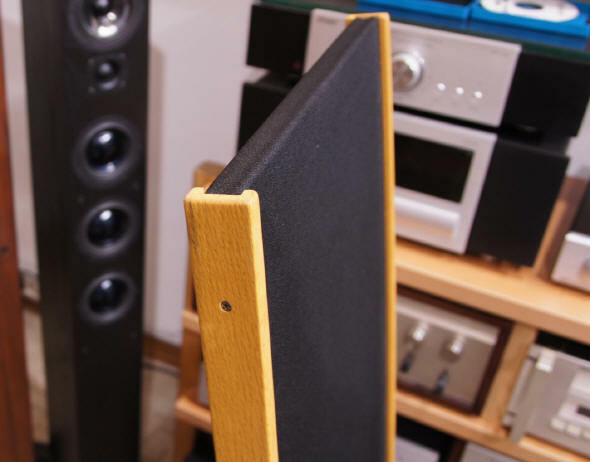 Speaker designers often struggle with the trade-off between weight and clarity in this area. 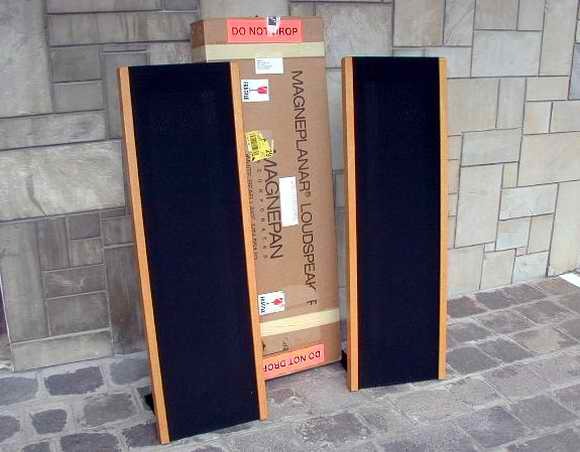 But bass from Maggies is different than from cone woofers. The MG12 doesn’t have the punch and bass impact that many box speakers can have. It’s a trade-off that Maggie-owners will make, but if you need to physically feel the music then the MG12s may not be for you.